Ever wonder how “real journalists” prep for presidential debates? Evidently the spin is alcohol-induced. 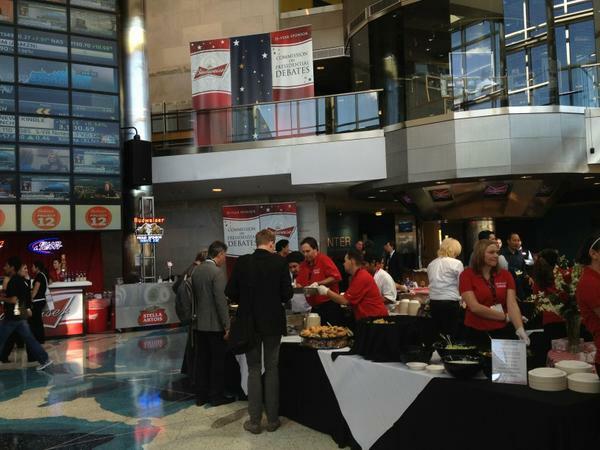 If #debate coverage fuzzy tonight, know that Univ of Denver plowed the press with free beer & ribs 3 hrs earlier! Plowed. Or plied. That ABC7 Chicago reporter may have had a few already. Who says reporters can’t hold their Budweiser? 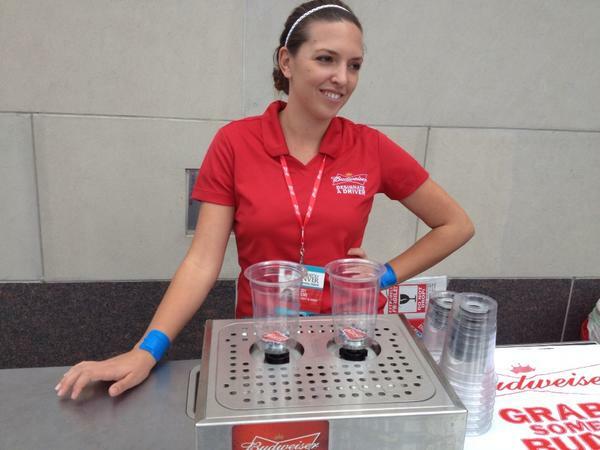 Budweiser is giving out FREE BEER to journalists at the debate. I'm sure @TPCarney will be a total killjoy about this. 7,000 accredited media in Denver for #debate. Inside media perimeter, we get ribs, beer and bean bag toss! Ohh, fun. These cups look like an accident waiting to happen when President Eye Candy’s lapdogs squee with excitement. Heh.